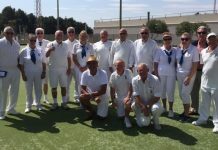 The club’s South Alicante teams saw some mixed results this week with the best, 10:2 and 90 shots to 62, coming from our Alsatians, home to Quesada Diamonds. 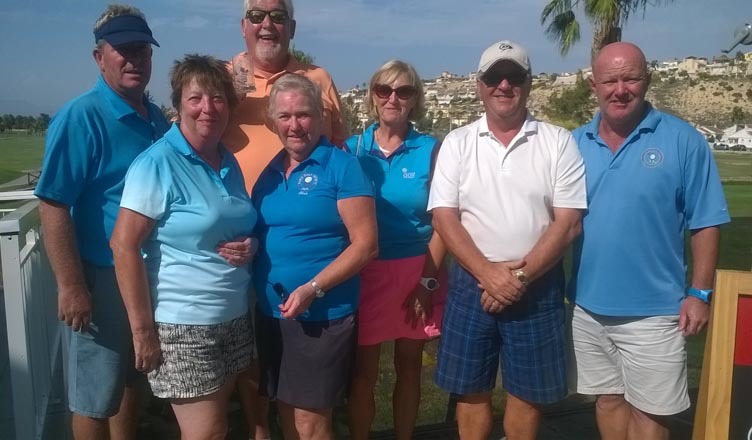 Tony Sansom, Sheila Booth & Mike Douglas scored highest – 24:11. 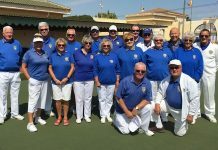 The Dalmatians took over in the afternoon, securing a win 8:4, 93 shots to 79 and third spot in the table – our most successful team were Sandra Hannan, Frank Scotthern & Bob Graham, 24:12. 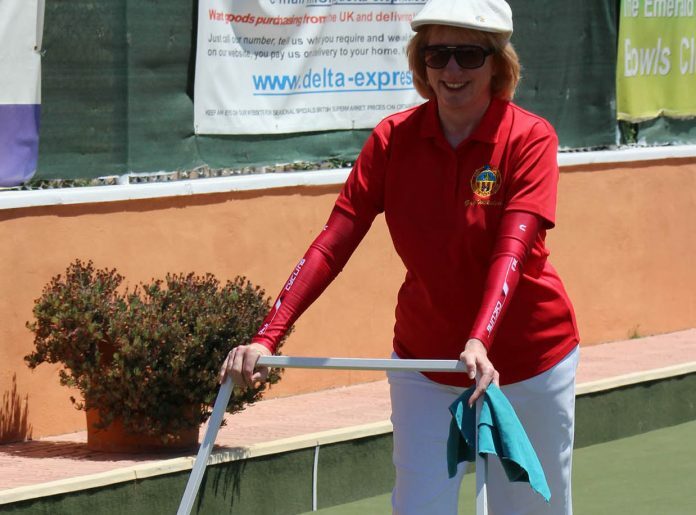 Many thanks go to Joyce Newman for stepping in at the last minute. Our away teams did not fair so well. 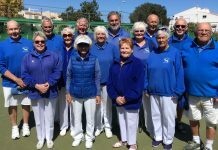 The Beagles playing Quesada Pearls won just 3 points courtesy of Margaret Patterson, John Raby & Cyril Medley 23:18 and Allan Patterson, Gail Willshire & Val Hignett, 17 all. Thanks go to Helen Johnson and Alan Harris for helping us out of a jam. Meanwhile, the Pointers had the toughest job on the difficult rink at El Rancho. 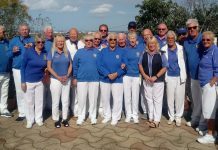 The team secured just 2 points, 75 shots to 94, with success coming from Iris Cutting, Dave Young & Stuart Hemmings 21:10. 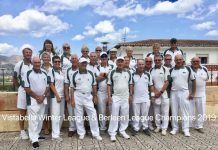 Our Winter League team welcomed Bonalba on Wednesday and had quite a fight on their hands. At half way the scores were close but San Miguel prevailed 11:1, 101 to 69, putting us top of the table! 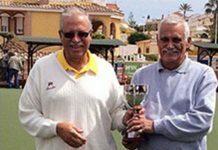 Our best rinks were Brian Miller, Margaret Patterson, Dave Johnson & Steve Cantley, 25:14 and Don Whitney, Val Collier, Chris Collier & Stuart Denholm, 26:17. Finally, Friday’s teams both drew with their opponents 6, points each. 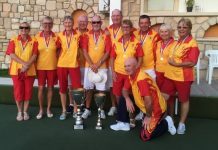 The Boxers away to Horadada Royals won the overall shots, 96 to 83 with wins from Stan North, Jim Jarvie & Dave Champion 26:18 and Bob Nesbitt, Ann Young and Barbara Scotthern 27:10. 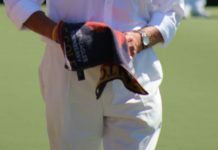 The Bulldogs (now knicknamed Pat’s Poodles – thanks Anne-Marie!! ) won on 3 rinks at home to the Emerald Isle Cavaliers, but lost out on the overall shots 76:89. All three wins were close! 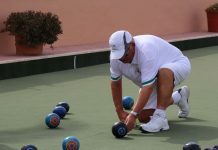 A reminder that the Wasps sessions take place Wednesdays 1:30 for 2:00 – €5 for an afternoon’s bowling with shoes and woods available to borrow. 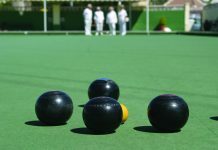 Due to the popularity of the Wasps, first time bowlers are now asked to attend an initial coaching session on Tuesday afternoons, starting at 1:45. 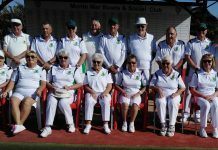 Previous articleSan Luis Bowls Club Report 26.10.18.